Westside Electric has proudly been providing emergency and repair services in the Ventura County and surrounding area for more than 30 years. Our technicians are available to respond to your needs with knowledgeable, efficient, and courteous service 7 days a week. Whether you are in need of an immediate repair, scheduled maintenance, or home energy improvements, Westside Electric is here for your needs. Contact us today. 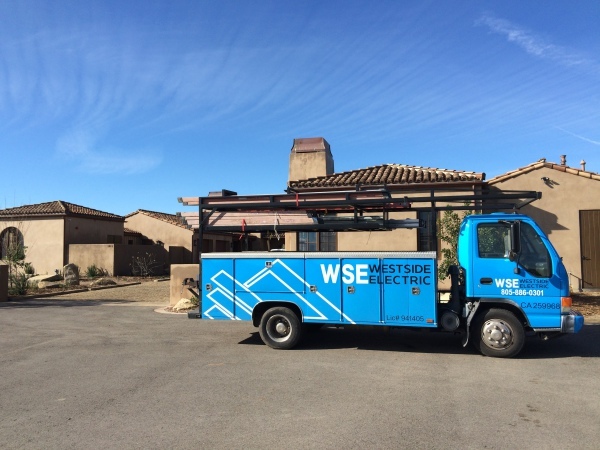 Westside Electric's State Certified electricians have been providing the Commercial and Residential construction markets with quality, energy efficient, and aesthetically appealing electrical designs and installations in the Ventura County and surrounding areas for greater than 3 decades. Whether you are building a new upscale home, remodeling, or simply adding on to your existing property, Westside Electric can provide for all your electrical needs from concept to completion. Contact us today. When the lights go out, and the freezer starts to thaw, don't be left waiting on your utility provider to respond. Backup power generators provide for reliable, uninterrupted power in the event of an outage. Westside Electric's Generac Certified Installers can provide you with the system to operate your entire home and grounds, or simply the bare necessities required to remain safe and comfortable in your home when the utility fails. Contact us today for a free estimate. Westside Electric's Solar Division is committed to helping our clients understand and enjoy the benefits of solar energy. Providing the highest quality in design and installation, utilizing only American made products. Act now to take full advantage of the 30% Federal Tax Credit set to expire in December of 2016. We also offer zero out of pocket government sponsored financing options. Let us assist you in eliminating ever increasing energy bills. Our team of solar experts will guide you every step of the way, from initial design to final implementation. Contact us today for your free solar analysis.